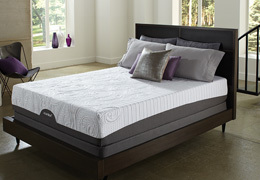 Low prices on over 1,240 mattress sets. NO Interest for 36 months. 60 month financing also available. Factory authorized, we only carry brand names; Serta, Simmons, Sealy, Restonic, Tempur-Pedic, ComforPedic, Symbol Mattress and the brands you know and trust. Use our exclusive Comfort Scale to compare different beds, and find the right mattress set so you can start sleeping better. From the best brands, and all their models twin size to king, view the widest selection of beds available. Order by talking to one of our helpful associates, the choice is yours. Local delivery is simple and free, too. You will be called to arrange a convenient time for your in-home delivery (we provide free in-home, White Glove delivery on most mattresses.) Make your selection with confidence: we offer our Comfort Guarantee on every mattress. All American Mattress also supports manufacturer warranties nationwide on every mattress purchased through our store. 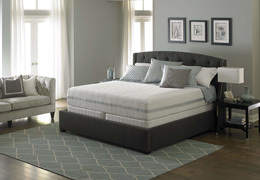 Find low prices and over 1,240 mattress sets from Serta, Sealy, Restonic, Simmons, Tempur-Pedic, Symbol Mattress and ComforPedic with superior service and FREE local delivery!